Home / Health Insurance Company Reviews / Proselect National Health Insurance Company Inc.
Proselect National Health Insurance Company Inc.
A review of Proselect National Health Insurance Company Inc. finds ProSelect Insurance Company, a member of the Coverys’ family of companies. ProSelect was originally a subsidiary of ProMutual, which changed its name and brand to Coverys in July 2011. Type your zip code into the free toolbox above in order to shop health insurance quotes from a range of health insurance providers in your area. While ProSelect provides nursing home insurance in Massachusetts, as well as excess and umbrella coverage, it isn’t easy to determine what other insurance business offered by Coverys is written by ProSelect. For this reason, this review will cover both companies as a whole. Coverys and its subsidiaries insure nearly 500 medical care facilities, including hospitals and clinics, in 22 states, as well as more than 22,000 healthcare providers. Without medical liability coverage, healthcare providers wouldn’t be able to do their business without the fear of lawsuits. Coverys helps manage the risks associated the practice of medicine. The company first determines a facility or practitioner’s risk and how well it is being managed with the programs already in place. Coverys focuses on the management of risk, as well as the safety of patients. In order to develop a tailored policy, Coverys representatives do a comprehensive office appraisal. These employees are registered nurses, so they have extensive experience in a medical setting. The company does an assessment of the facility to identify any high-risk issues they may find, ranging from staff credentialing to badly maintained clinical areas. Assessments are done for facilities ranging from hospitals to nursing homes. Coverys will then benchmark the facility to see where it compares with its peers in the field. This helps the insurance company, along with its client; develop an action plan in making their practice safer and helping to reduce the risks as much as possible. In addition to its medical liability insurance, Coverys works with the practitioners themselves to provide support to those that are facing lawsuits and claims. The emotional support needs of these practitioners are often overlooked, and Coverys strives to lessen the impact of the suit or claim on the practitioner’s professional and personal lives. Coverys is also a member of the Massachusetts Coalition for the Prevention of Errors, helping to identify the cause of medical errors and introduce strategies that help in their prevention. If you’re currently looking for employment, Coverys has a “Careers” tab on its website, allowing you to easily look through its job openings. The company lists its East Coast jobs here, and provides a link to its postings on CareerBuilder if you’re looking for a job on the West Coast. At the time of this writing, in September 2011, there are currently three East Coast openings–two for marketing representatives and one for an underwriter. A.M. Best, an insurance industry ratings company, has given Coverys, under its ProMutual name, a grade of “A-.” This is considered an “Excellent” rating for its financial strength. Best sees Coverys’s future outlook as “Positive,” and it has given the company a rating of “a-” (also “Excellent”) for its issuer credit rating. 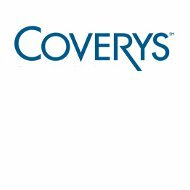 If you are a healthcare provider or medical facilities manager thinking of doing business with Coverys, these ratings are a positive indicator of a company with liquidity and the ability to meet its financial obligations currently and into the future. If you’re looking for personal health insurance, ProSelect and Coverys won’t be able to help you, but we can! Type your zip code into the box below and we’ll provide you with health insurance quotes from providers in your area.